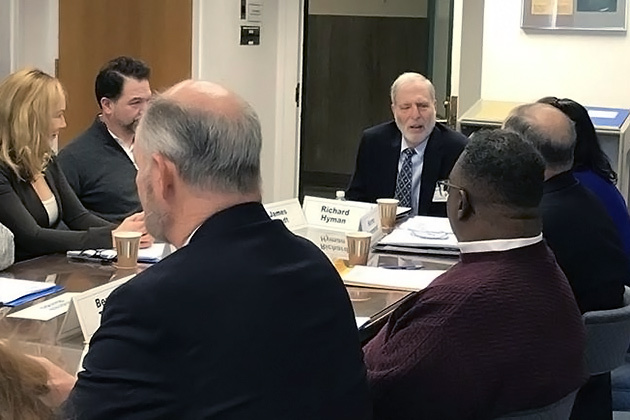 The county Planning Board usually meets the first Tuesday of every month at 8:30 a.m. in the William N. Cassella Conference, Room 420 of the county Planning Department, located at 148 Martine Ave. in White Plains. Through the county Commissioner of Planning, department employees serve as staff for the Planning Board, carrying out research and assembling information and graphic material for board review and for presentations at board meetings. Department staff also conduct studies, prepare publications and implement policies on behalf of the Planning Board. Make recommendations on the capital budget. See the Planning Board Review of the Capital Projects Requests for the following years: 2018 and 2019. See also the additions to the 2019 Planning Board Review. See the Planning Board Review of Westchester Community College’s Capital Projects Requests for the following academic years: 2018/2019, 2019/2020. Review and comment on municipal planning and zoning actions. These actions often involve large-scale developments which are proposed throughout the county. Read more about Municipal Referrals. View the interactive map of all currently proposed development projects that have received county Planning Board review. The Westchester County Planning Board approved an amendment of Westchester 2025 Policies to Guide County Planning after a public hearing on Jan. 5, 2010. The Westchester County Planning Board, at full complement, consists of 12 members who serve staggered three-year terms. Nine of the members are private citizens, appointed by the County Executive and confirmed by the Board of Legislators. By law, four of the nine must be residents of any cities in Westchester, two must be residents of anytown (outside of any village), villages and three must be residents. The remaining three members, voting and ex-officio, are the commissioners of the departments of Environmental Facilities, Public Works and Parks, Recreation & Conservation. A quorum consists of seven members, an absolute majority of the fully authorized membership of the board. The County Executive appoints the board chairperson. The board members elect the vice-chair. Board committees are formed on an ad-hoc basis depending on issues being studied. The board's operation is governed by "Rules of Procedure - Westchester County Planning Board." For information, contact Norma V. Drummond by e-mail at .